The K-S1 behaves pretty well, giving much the kind of results we’d expect from a 20.12-million-pixel, APS-C-sized sensor. 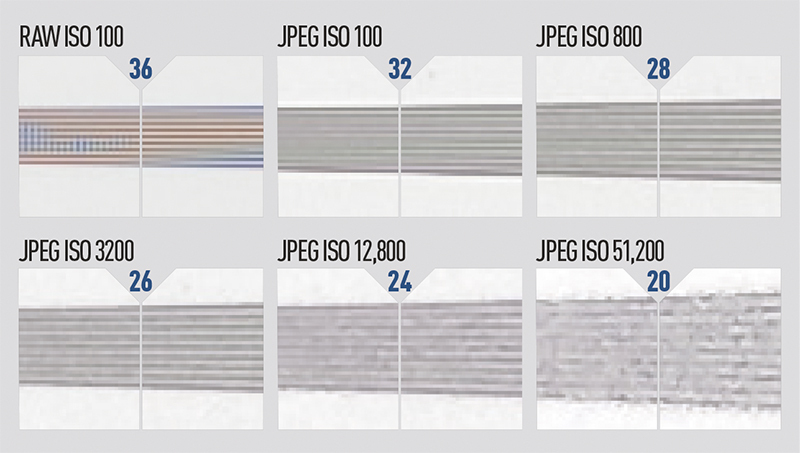 The camera’s JPEG processing seems to be quite aggressively processing the image to remove aliasing and moiré artefacts, and this means you can pull visibly more detailed results from raw files – just at the risk of such things as mazing and false colour. In terms of ISO sensitivity and noise, the K-S1 gives completely usable images up to at least ISO 800, with only a slight visible deterioration in quality at this setting. At ISO 1600 they are still quite usable, but the image is starting to deteriorate if you look at it closely. Beyond this things go downhill quite fast, but for non-critical purposes, ISO 3200 and 6400 are absolutely fine. The higher sensitivity settings should, as usual, be used as a last resort. 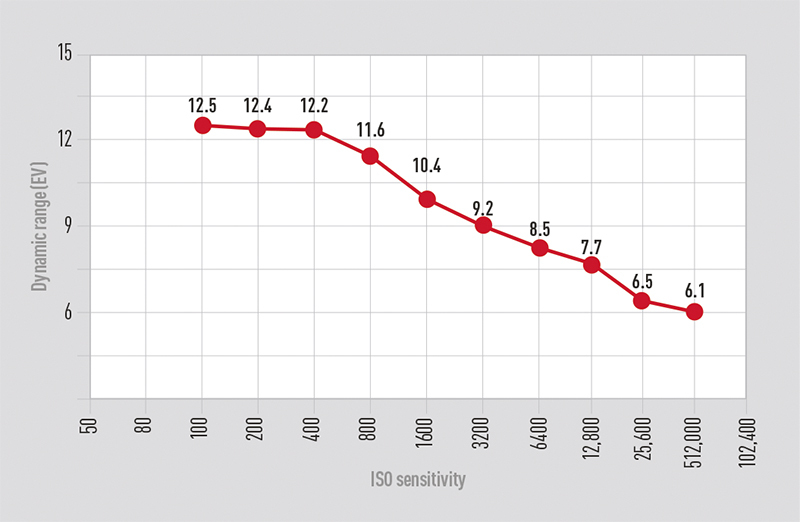 The K-S1 gives results in our Applied Imaging tests that fall broadly in line with other APS-C-format cameras. The measured dynamic range is a very useful 12.5EV at ISO 100, and it remains high through to ISO 400. It then starts to fall off more rapidly as the sensitivity is increased, and shadow tones become noisier, but even at ISO 1600 it’s a creditable 10.4EV. After this it falls off rapidly, indicating that shadow detail will be increasingly lost to noise. In JPEG mode at ISO 100, the K-S1 delivers around 3200l/ph, which is unexpectedly low for a 20.12-million-pixel sensor with no optical low-pass filter. The raw version of the same shot reveals why – this resolves about 3600l/ph, but with visible colour moiré and plenty of aliasing at higher frequencies. 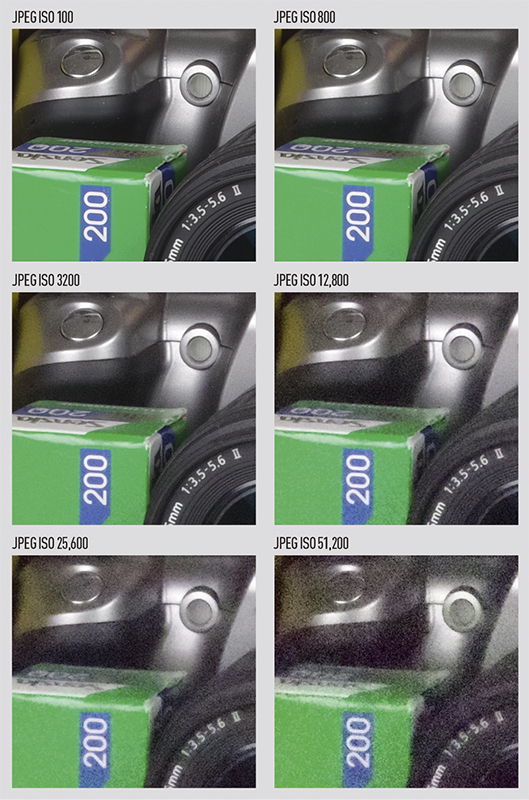 Pentax is effectively suppressing these artefacts in JPEG processing, at the expense of fine detail. Resolution drops as ISO is increased, reaching around 2600l/ph at ISO 3200. Above ISO 6400, resolution falls rapidly due to noise. The images above are printed at 300ppi, reflecting a high-resolution print. The K-S1 gives clean, detailed images at ISO 100, and continues to give excellent results through to ISO 800 – there’s barely any visible difference between the two here. Some luminance noise appears at ISO 1600, accompanied by a little blurring of the very finest detail, but you won’t see that at this print size. At ISO 3200, low-frequency chroma noise starts to become visible, resulting in green and purple mottling of dark tones in the image. There’s a more severe step down in quality at ISO 6400, with noise becoming more visible and most fine detail being destroyed by noise reduction. At ISO 12,800, images are still just about usable, but the two highest settings give very poor results.